DUI costs can vary depending on many factors such as the legal costs of the state you are in, the severity of your offense and on whether or not you employ the services of a DUI attorney to help you disentangle the legal system. If you are savvy enough to manage without legal aid, then here are the DUI costs that you should bear in mind if you are ever tempted to get behind the wheel after you’ve had more than a couple of glasses. 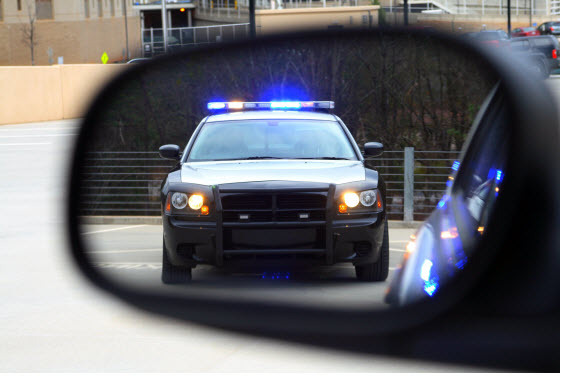 How Much Does a First-Offense DUI Cost? If you are caught driving under the influence, the cost of the ticket should be the least of your concerns since a DUI offense can quickly empty your wallet. The first DUI costs that you will be faced with are the court fines for driving under the influence. These can vary depending on the state you are in and can range from $500 up to approximately $2,000 in the state of California. The second thing on your mind will be the cost of the towing and impounding of your car since you will be unfit for driving. This can be anywhere between $200 and $1,200. Lawyers can obviously help with the hustle of the legal system but if you don’t want to deal with a DUI lawyer cost, then you can save around $2,000, depending on whether or not you are going to trial, in which case you can save up to $5,000 or more. Putting the costs of hiring an attorney aside and assuming that you have not damaged your car or anyone else’s, then you will have to deal with the costs of your time spent in jail. Since a first-offense DUI is considered a misdemeanor, you could pay around $380 for your jail time and spend up to six months in jail or more. This depends on the state where you committed the offense. If more tests have to be performed to ascertain the level of the alcohol in your blood, then you will have to cover a chemical testing fee of approximately $90. Your bail can also add up to $2,500 to the total cost of a DUI. Pleading guilty from the start can save up on a couple of fees, but you will still have to pay a sentencing fee of $250. Assuming that you are out of jail, either on bail or after having served your sentence, you will probably want to get your license back. This means another $150 taken out of your pocket. Depending on the decision of the court, you might also have to pay for an ignition interlock system (IID) that will be installed in your car. An IID will require you breathe into the device for the car to start. This checks the concentration of alcohol in your blood. The installation of the ignition interlock system will cost $100 plus the rental fee of ~$50 to $100 per month. You could also be required to go ‘back to school’ for rehabilitation classes or some other form of substance abuse guidance. The costs for these classes can range between $500 up to $2,500. If you also have to do community service, then you will have to pay a fee for the supervision of your time spent there – around $60. A probation officer will also add to your costs and you can be charged up to $1,200 for his or her supervision. To add to all this, your insurance costs will also be higher since you will be seen as a higher-risk driver. You should consider an increase in your insurance rates of approximately $1,500 per year, but these could also be much higher, depending on your insurance company. Knowing what each fee amounts to, you have already managed to accumulate quite a sum for your first-time DUI offense. However, there are more hidden costs to come your way. Spending time in jail or doing community service translates to not being able to work and dealing with a loss of income. Assuming that you have to spend more time in jail, you might also lose your job entirely and you will have to find a new one after you are released. Moreover, if your driving license is still suspended, you will have to consider finding alternate means of transportation, which can also increase your costs. If this isn’t your first DUI offense, then you should take into consideration higher DUI costs than the ones mentioned so far. Repeated offenses will most likely double or triple your costs. Incurring damages on your car or other cars and even injuring other people, be they passengers of your own car or other drivers or passengers, will also add to your costs, not to mention to your charges in court. If you are seeking to remove your DUI offense from your record, you might want to consider hiring an attorney to help you out for a starting price of at least $400.However, depending on the severity of your charge, the costs could get as high as $4,000. You could also deal with the expungement of a DUI from your record on your own, but the process can be quite lengthy and technical. You will have to make sure you have all the needed knowledge before setting yourself up with this task. Seeing the cost of a DUI offense, you are very likely to reconsider getting behind the wheel after drinking. Legal fees, jail fees, rehabilitation fees or insurance fees for a DUI can empty your pocket and, putting hidden fees aside, can lead to a total cost of around $17,000. You might spend more or less, but in the end, you will still be taking a considerable amount of money out of your pocket for a DUI offense. Hey Buddy!, I found this information for you: "DUI Costs: Be Ready to Pay the Price for Driving Under the Influence". Here is the website link: https://www.duiauthority.com/dui-costs-the-price-for-driving-under-the-influence/. Thank you.